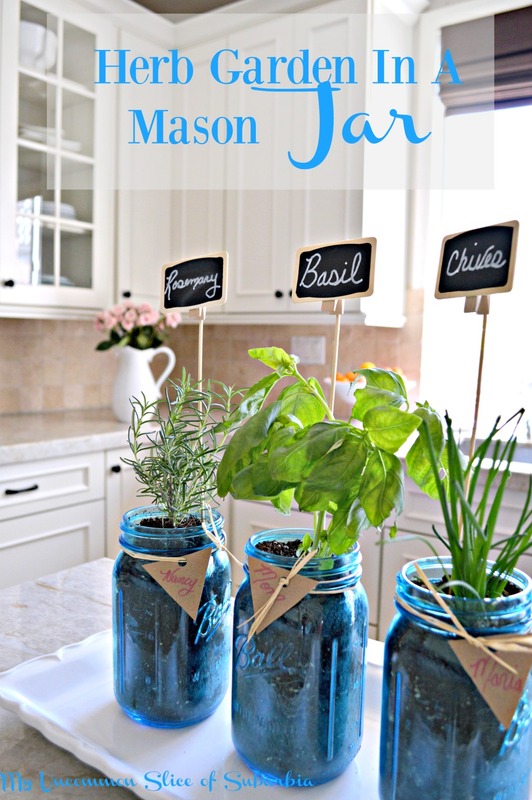 In honor of Mother’s day, I made these herb gardens in mason jars to give to the special ladies in my life! 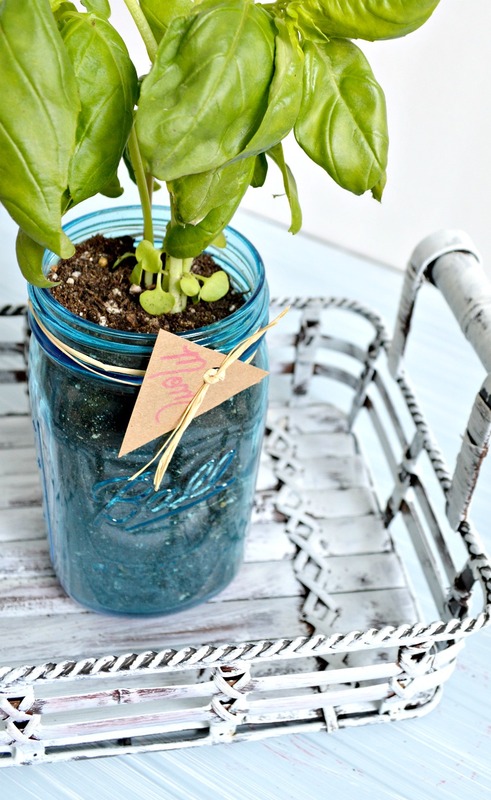 Some of my favorite blog friends and I have each created a Mother’s Day project featuring the new Ball® Elite Collection Mason Jars. The best part, Ball® Canning wants one of YOU to win an entire case of them… and you get to choose the size! Enter our giveaway below and be sure to visit all these great blogs and see their fun mason jar ideas! A great big thanks to Malia from Yesterday on Tuesday for organizing this fun giveaway and party! Fill the mason jars almost to the top with soil. Add the seeds or starter herbs and top off with additional soil. If you are using seeds don’t plant them too deep so they can germinate. Water each jar about every other day. 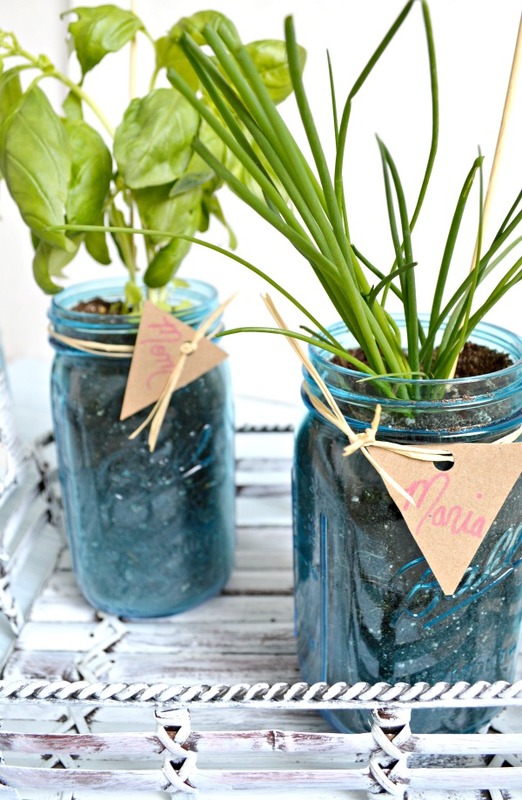 Add some cute tags and some chalkboard signs so you know what is growing in each jar. Easy to tell if they are starter plants but not so easy if they are seeds. There you have it, easy peasy and a perfect gift to show that special person in your life how much you care. So, here is the fun part! Enter below using the Rafflecopter, then visit my beautiful friends to find more amazing ways to spoil your MOM this Mother’s Day! 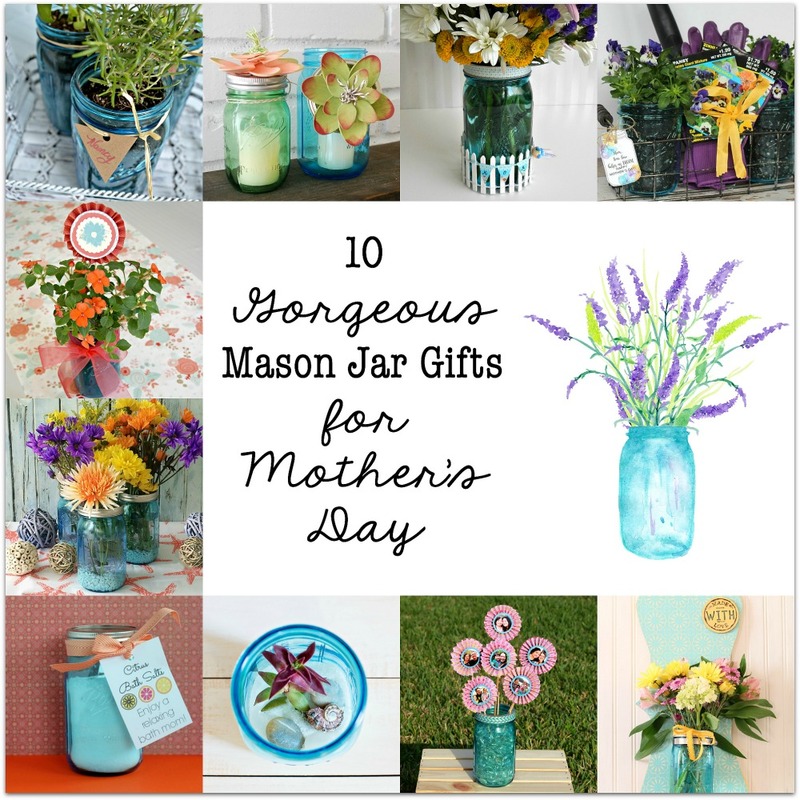 Visit these blogs and check out all the GORGEOUS Mother’s Day Gift Ideas! Thanks so much for stopping in today, have a wonderful rest of the weekend! Oh how pretty! Several of my best girlfriends are gardeners and they would love to receive these as little gifts. Thanks so much for the inspiration! I love this idea, Kristin! So pretty and perfect for summer cooking. 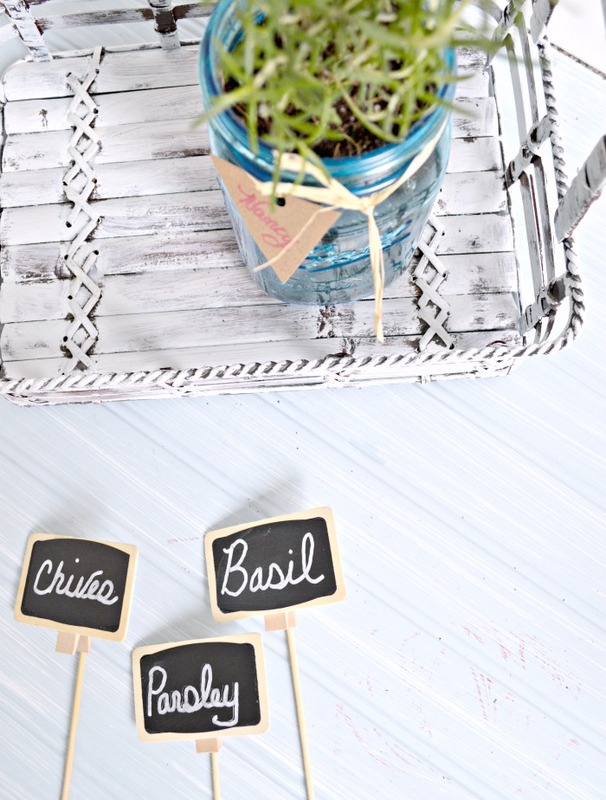 I love this – what a wonderful gift idea and a great way to have herbs in the kitchen! Pinned! Oh how I would love this herb garden on my window sill in the kitchen. The light would make these jars glow! My mom would love these too! So pretty and perfect gift for someone who loves to cook. 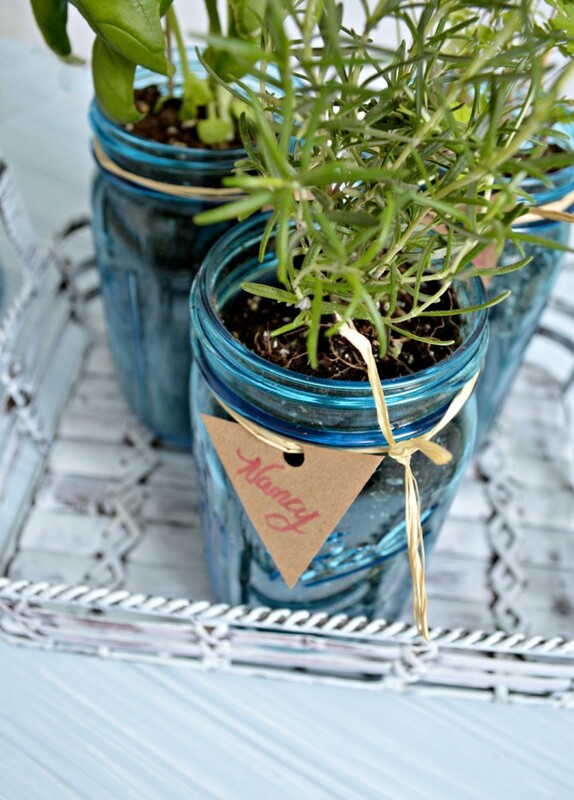 These jars are so pretty and make a perfect container for your herb garden. I love this idea and the blue and green colors are fabulous together!